Are you looking to have work done on your loft? If so, call 42 Construction today for quality loft conversions in Poole that will free up much-needed space. Our professional contractors can provide complete transformations that will be sure to please. If you are looking to convert your loft into a usable space, then look no further. 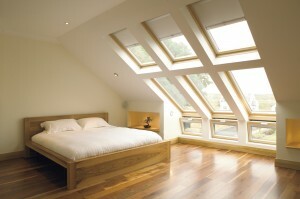 At 42 Construction, we pride ourselves on providing Poole loft conversions that are out of this world. Hiring an amateur service will more often than not deliver disappointing results. Many businesses offer a limited package that will leave you forking out extra to get your loft conversion furnished and wired up. Our professional company can handle any and all aspects of loft conversions in Poole. We start by carefully assessing your setup and can advise on the best ways to fully utilise your available space. After providing you with a no-obligation quote detailing the costs we can begin planning out the works that will be required. At 42 Construction, we work alongside you every step of the way from the design to construction. When you hire our company, you will receive fully qualified tradesmen spanning a variety of specialist fields. They will use their extensive skills to create a space that adds functionality to your home while also improving and adding security. Once we have finished your quality loft conversions in Poole, we can provide complementary services to get help you get things up and running. Additionally, our NICEIC certified electrical specialists can ensure your Poole loft conversion is wired up correctly and ready to go. At 42 Construction, we have worked hard to establish a well-earned reputation for delivering the very best loft conversions in Poole. With more than 20 years of experience to our name, our company can provide you with a wealth of knowledge and expertise to ensure exceptional results. We have provided services for hundreds of customers spanning both the domestic and commercial sectors. As such, we are well suited to providing quality loft conversions in Poole that are suitable for buildings of all shapes and sizes. With our commitment to providing excellent service and the desire to go that extra bit further, it is no wonder we are the go-to company for Poole loft conversions. Contact us on 07891597416 or 07768286991. Alternatively, drop us an e-mail at 42constructionltd@googlemail.com and book your quality loft conversions in Poole today with 42 Construction.